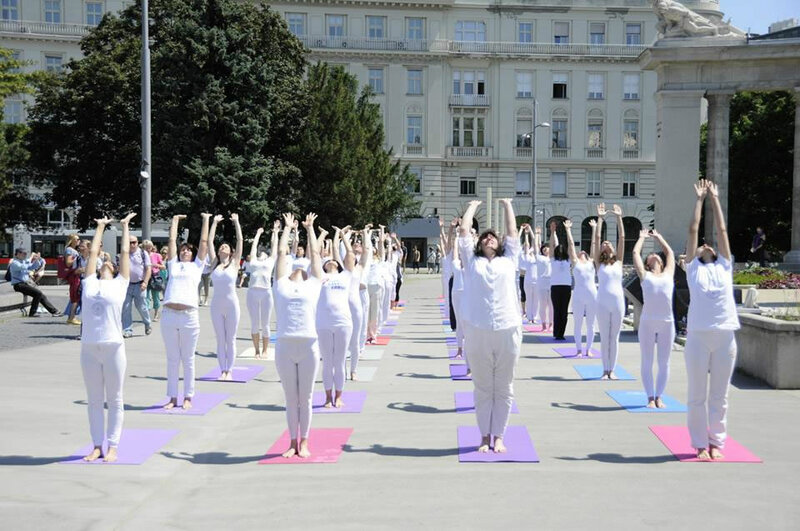 On June 7, 2014, at Schwartzenbergplatz in Vienna, there have been conducted the Grand European Yoga Cultural Performance YOGA DAYS OF GOOD DEEDS organized by the European Yoga Federation in cooperation with the Yoga Federation of Austria. 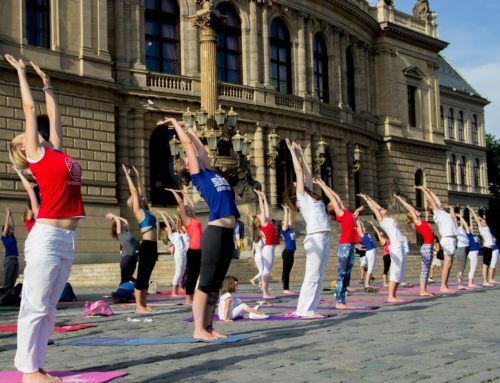 The performance is part of the wider action which includes Vienna, Prague, Belgrade and Novi Sad this year and it takes place at the central squares of the European capitals. 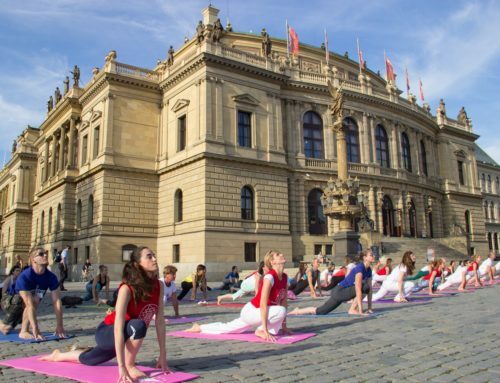 The performance consisted of Surya Namaskar (Sun Salutation) series that yoga teachers and practitioners conducted along with the silent music and play of the members of Art Yoga Similiris group. 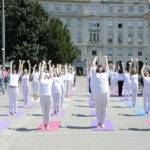 Representatives of the Austrian Yoga Federation, Czech Yoga Federation, Yoga Federation of Serbia and Yoga Federation of Montenegro participated in the performance. Let there be love and harmony with the environment within us.